“Ak….chi. !” this is a very familiar word and after that Su–Su the continuous nose blowing. Every person in his life faces this problem some time i.e. Frequent cold. This is a very common and contagious viral infection. The human body can never build up resistance to all the viruses that can cause the common cold. It is for this reason that colds are so common and recurring. The Main causative factor is Rhinovirus which is a common virus that brings 10 to 40% cold in people. The coronavirus also brings infection in 20% people. In more severe condition the complaints of high fever, body ache, muscle pain show that the common cold shifted to the viral flu. After catching a cold virus the symptoms started within 1/3 days. 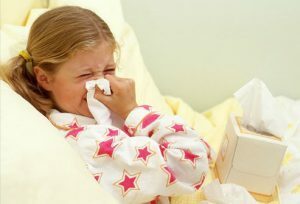 It starts with burning in the nose followed by running nose, frequent sneezing and feeling unwell. This is the period when the patient is contagious. For first few days the nasal watery discharge turns to thick and dark. Sometimes the patients get a mild cough. If you have chronic bronchitis, the cold becomes worse. Homeopathic medicines enhance the healing power of the immune system, which in turn makes the patient less susceptible to the allergens, frequent infections, and the environment. Homeopathic medicines, when taken under the proper guidance of an expert, can reduce the intensity, frequency, and duration of episodes of frequent colds. If you want to get treated with research-based medicines of Dr. Shah do feel free to get in touch with Dr. Rajesh Shah’s associate doctors at Life Force Homeopathy or just send your query here.